Alrighty! 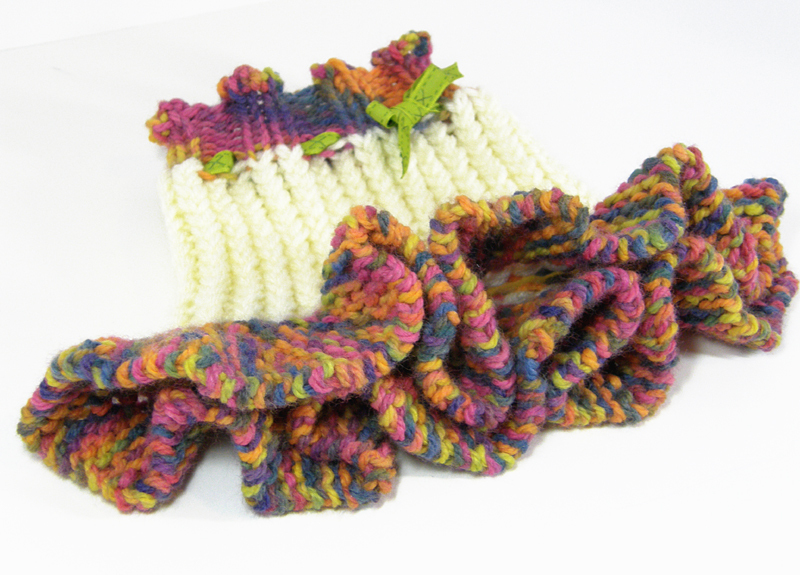 Are you ready to finish your Loom Knit Bath Scrubbies? You’re almost done! Remember how I said that the party was going to last through August 4th so we could see the book launch at Kickstarter right through to the very end? Well…here’s a few more details! We have prizes! For everybody who turns in a picture of their Loom Knit Bath Scrubby by August 4th, they will receive TWO drawing entries! Every day you check in here and make a comment during the next few days until August 4th, you’ll receive an entry into the drawing. I will be announcing all the prizes available very soon…oh, the suspense, right? lol. Remember the Sweet Pea Skirt/Hat? Everybody who backs the book project at the Kickstarter Launch will be sent a copy of this super fun pattern! No waiting for this one…you’ll receive it by August 3rd! 😀 This is for each and every person who has pledged already and who are going to be pledging before the close of the launch. I hope this will be a fun next few days! Happy 4th Blogiversary to all of us! This entry was posted in Blogiversary, Book Progress, Charitable Donations, Contests, Family Fun, Free Loom Patterns, Goals, Kids Crafting, Loom Alongs, Loom Knitting, Looming Patterns, New Projects, Project Preview, Tutorials. Bookmark the permalink. Bethany I’m so excited about your book. Each new project I see from it has gone on my to-do list! I’m going to go into complete overload when the book comes!!! I won’t know what to do first. I’m in suspense waiting to see what else will be in the book. I’ve got a couple questions for you, one is – What was the first project that you made on the looms? What has been your favorite project from the book? What gives you inspiration for your projects? Thanks for all you do! Happy Blogiversary! Letting the looming adventure continue!!!!! You are so crafty, Bethany!! I have several unraveled bath scrubbies that are candidates for this project. I can hardly wait to see all the loomy goodness in your new book. I love everything you do! How do you juggle a busy family life and still manage to turn out these fantastic loom knitting projects? Very interesting project with the scrubby,Bethany!! I have the supplies and will give it a whirl asap. Not sure where we are supposed to comment, so I hope I’m in the correct place! My question of the day I’ve done all sorts of needlework in the past and have a zillion types of needles. However, I’ve never seen one like you used with the wire “eye”. What is the name of this needle? Thank you!! Yep, Linda! Your commenting spot is great! 🙂 So glad you’re joining in on the all the fun! Bethany, I love this Blogiversary LAL, way-to-cool way to showcase your talents & creativity & connect with Loomin’ Friends! Thanksgiving & Blessings for your Kids Book Project! I’ve posted about your party to the LKNB group – http://groups.yahoo.com/group/LKNB-Class/message/3757, my blog – http://www.kellyknits.com and to facebook – http://www.facebook.com/kellyknits. I’m excited about all of it!!!! hehe, especially the Kitty and the pacifier clips! Bethany, congratulations on the fourth blogversary. I love this new way to reinvent the scrubbie. Of course, at the end when you said ribbons, and tulle I got even more excited. This is great for the top of gifts. I will try one of those. I love the skirt/hat idea. What will you think of next? I cannot wait for the book to be published and in my hands. I will be off knitting them when it gets here. All of the items are so cute. I even know someone who is having a baby in February so it will be fun to make some for her. I did it… will post the pic on ur facebook. I am bummed out… I started mine and did not have enough netting. even for one round. Maybe I will cut it down the middle. Wondering if I can take my girls smaller one that’s un raveled and use that one the flower loom and make mini ones, hhhhhhhmmmmm. Bethany finished my Scrubbie and posted a pic in the Yahoo Group. This is such a neat idea to recycle only I had no Bath Scrubbies in the house, I bought one for a dollar at Walmart. I had some leftover and plan to use it in the Scrubby O’s pattern. I haven’t tried the bows yet but I will, such a neat idea Love the book, be glad when it arrives I have a couple of pregnant nieces. Angel, I thought of the strangeness of taking apart a brand new scrubby to re-assemble it into the exact same thing it was before, lol! 😉 I figured that we could use of the excuse of reinforcing the scrubby for much longer use. I did try mine this morning and I really liked the new improvement…it had some extra scrubby power with the knitted cotton insides! 🙂 The idea to use any extra for a Scrubby-O is a terrific plan…way to be so full of inspiration!